William C.E. 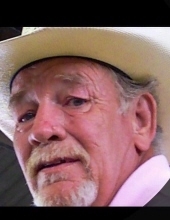 Schley, passed away on Thursday, January 31, 2019 at his residence at the age of 71. William was born on January 2, 1948 in Harlingen, Texas to the late William C.E. and Sharon Taylor Crain Schley. William worked his whole life serving others in the medical field. He began his journey in the US Navy serving in Vietnam on the USS Sanctuary. Then worked as an RN at the VA Hospital in Dallas, Tx. Soon he traveled back to his roots in the Rio Grande Valley where he opened the first dialysis center and quickly moved to over see the Cardiac Cath Lab at Valley Baptist Medical Center. William's career concluded working for Medtronic as a Pacemaker Rep. He was preceded in death by his parents; brother, Robert Earl Morand and grandchild, Robbie Lynn Silva. Survivors include his loving wife of 51 years, Deborah Ann Schley; children, Jamie Silva, Kari Schley-Luera (Roy Luera), Heath E. Schley (Edith Schley), and James Morand (Erica Morand); and grandchildren, Haley Russell, Jaden, Joshua, Mackayla Silva, Taitum and Cullen Luera. To send flowers or a remembrance gift to the family of William Schley, please visit our Tribute Store. "Email Address" would like to share the life celebration of William Schley. Click on the "link" to go to share a favorite memory or leave a condolence message for the family.